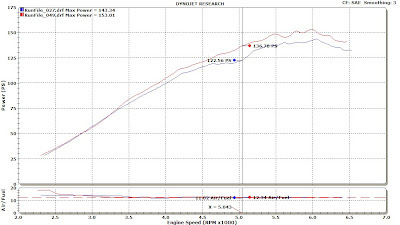 The dyno results for the Okada Projects Plasma Direct coils is finally out, the results are more than what we expected as the dyno machine was able to pick up the gains both in horsepower and torque. It took us less than 10 minutes to swap the original coils out with the Okada and we took this opportunity to throw in a new set of plugs as well. We did a base run and the car pulled 143.34 PS and 18.53 kg-m of torque at the wheels. With the Okada Projects coils fitted in, it gave us 153.01 PS and 19.45 kg-m of torque. 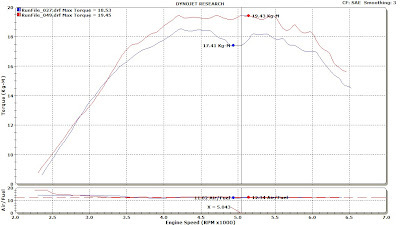 A first glance at the dyno chart it seems like the overall gains are not so impressive as we only gained around 9.67 PS and 0.92 kg-m of torque. However we noticed that the gains are available throughout the entire powerband starting from 3,500 RPM all the way to the redline. 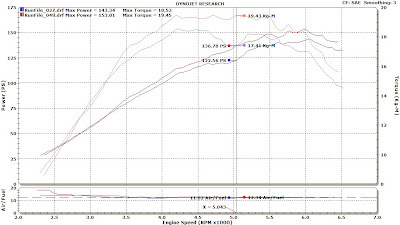 What caught us by surprise was not only the torque curve has been flatten, there is a peak gain of 14.22 PS and 2.02 kg-m of torque nearing the 5,000 RPM range. 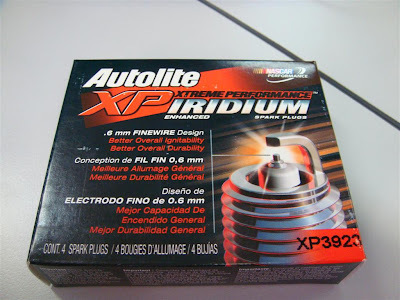 In the past, the original coils simply just couldn't maintain sparks that were strong enough at the high RPM range to achieve a flatter torque curve. Seems like the Okada coils were able to get the job done. Overall I'm quite impressed with the Okada coils, and would certainly recommend it to anyone whose interested in it. However, you would still need to find a good tuner who knows how to tune your car properly in order to enjoy the gains. 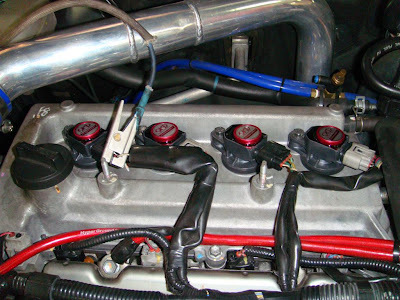 Besides the gain in power, the coils could also serve as a nice dressing item in your engine bay as well. Iam so envy bro...congrats!! !how much did it cost u?i asked before and it cost a bomb!! it costs around 2.7k, but might be higher now as the japanese yen is getting stronger. thanks alot bro, but i couldn't find any info about your red kancil on your blog though.